Guys today I am going to share with you a clip from my new instructional video that is coming out all about pressure passing in the no gi. A lot of people ask me how do you pass no gi? Do you still do the over under? and all of these questions. The answer is that my game stays basically the same, there are certain things I have to change for the no gi but I say that my game is 80% of what I do in the gi. In my new instructional I am releasing I am trying to make it like a curriculum for people. I filmed over 40 passes and 30 of them are the over under pass no gi. I broke it down into a system, so 10 techniques on the approach, 10 techniques on how to do it, and 10 techniques on how to establish the pass. I talk about all of the reactions you will see and how to deal with them. 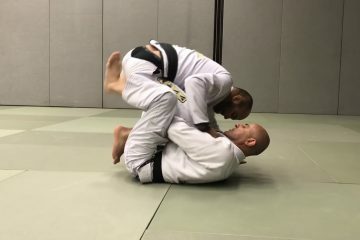 The over under is still my favorite pass whether it is gi or no gi, there are some things that I do differently but most of the details stay the same. Check out the video below of me doing the no gi variation of the over under. This is the basics, there are many advanced situations that you may encounter. Check out my new video coming soon, oss guys I hope this helps!